Google unveiled Tuesday an artificial intelligence tool capable of handling routine tasks—such as making restaurant bookings—as a way to help people disconnect from their smartphone screens. Pichai played a recording of the Google Assistant independently calling a hair salon and a restaurant to make bookings—interacting with staff who evidently didn't realize they were dealing with artificial intelligence software, rather than a real customer. "It turns out that a big part of getting things done is making a phone call." "But it's equally clear that we can't just be wide-eyed about what we create." Much of the focus was on Google Assistant, the artificial intelligence application competing against Amazon's Alexa and others. Google Assistant is also being taught to better understand people and interact with them more naturally—and will be getting new voices, including one based on the voice of singer John Legend, as well as programming to improve conversation performance. 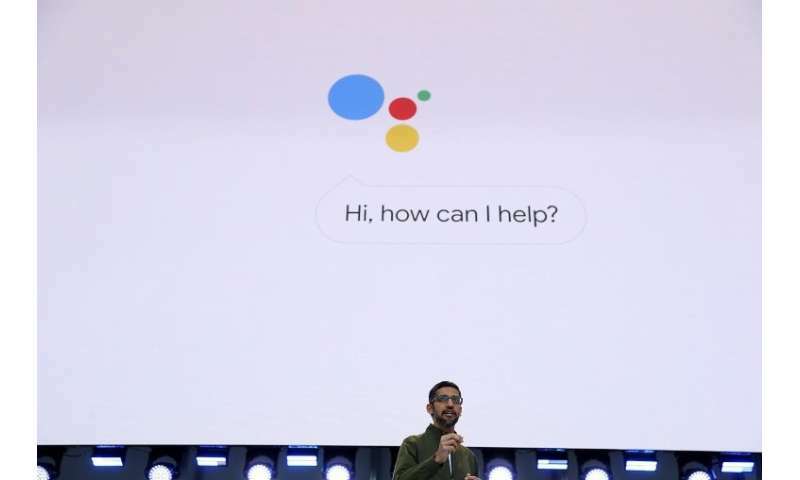 "Thanks to our progress in language understanding, you'll soon be able to have a natural back-and-forth conversation with the Google Assistant without repeating 'Hey Google' for each follow-up request," Pichai said. Google also planned to add a "shush" mode to its Android mobile software, switching smartphones to a do-not-disturb mode when they are placed face down on a table. "This is going to be a deep, ongoing effort across all our platforms," Pichai said. "To help you understand habits, focus on what matters, switch off and wind down." "The are taking a very human approach to technology, and convincing you people can continue to rely on Google," Blau said. "We have seen, as a central theme, trust."